So after what was meant to be a quick comment on the November incident in which Liverpool Goalkeeper, Simon Mignolet got penalized for holding on to the ball too long in what is known as “The six second rule” – I have found myself full of information about changes to the rules in the goalkeeper’s possession. Having played through many of these changes which took place in the late 80’s and early 90’s I thought it interesting to list them here. This rule was to stop the goalkeeper, who has the privilege of handling and holding the ball to delay the game and waste time for the advantage of his or her own team. Almost all associations agree that the rule was not meant to be strictly reinforced, and as long as the referee deems that the goalkeeper is making a sincere effort to release the ball, there is no need to strictly enforce the 6 second rule. Possession refers to holding the ball in the hands. If a keeper chooses to put the ball down on the ground and kick or dribble it they can take all day, as long as they don’t pick it up again. As you can see from the above video, it’s only when you abuse the rule ( Mignolet takes some 22 seconds ) that you get penalized. 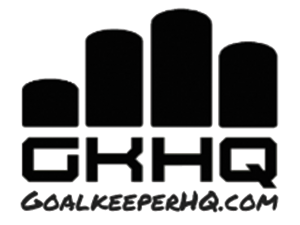 As the goalkeeper, you will be the one to blame as there are so many distribution options….. even if you drop the ball on the floor and distribute with feet. The result in this game and also in the 2012 Olympics USA v Canada which Erin Mcleod finally gets penalized after her 3rd lengthy delay, is in indirect free kick and a goal against. 1 ) Speak with your coach about the game tactics. Long or short distribution? 4) Be comfortable with the ball at your feet so you can drop the ball and play if necessary. If a keeper is being impeded bo the opposition,how does this affect the 6 second rule?